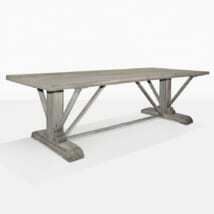 Our most amazing and popular dining table by far. 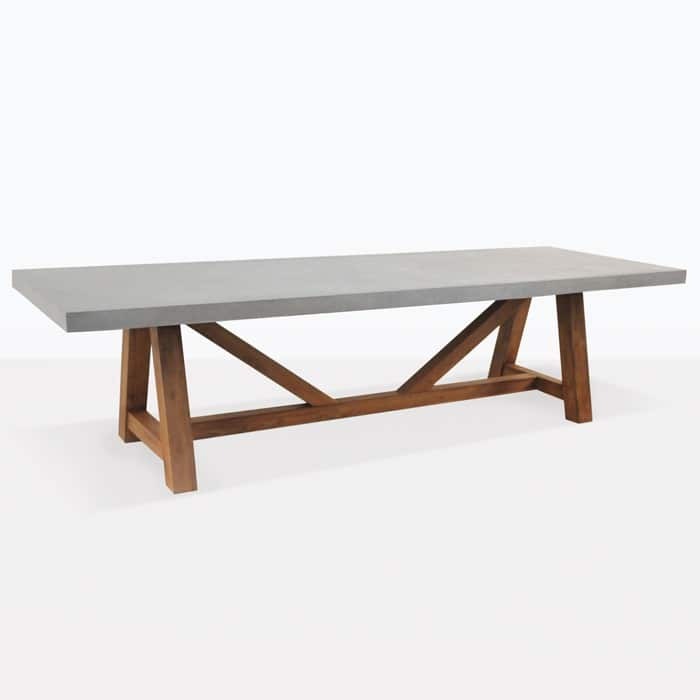 Reclaimed Teak wood makes a bold statement with our raw concrete table top. Both materials perfectly suited for the outdoors. 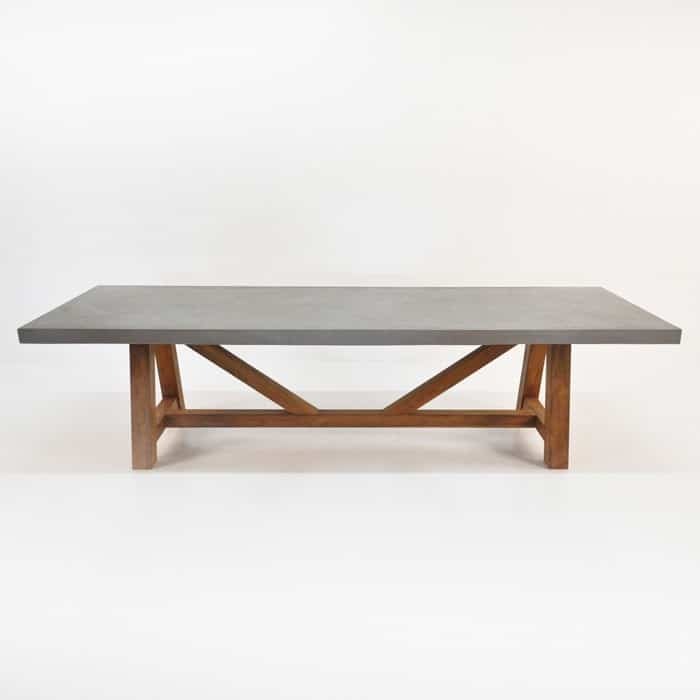 Enjoy the mixes of materials, the raw cold of the concrete and the warmth of the teak wood. 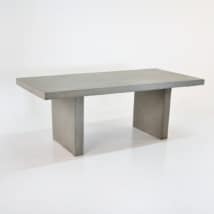 A stunning mixture to look at with its eclectic look and feel which is a perfect look for your clean modern contemporary home, to your gorgeous turn of the century villa. 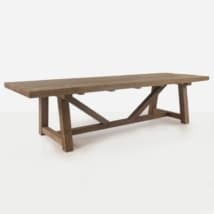 Long lasting teak for the out doors makes for an easy wash of the table top for those spills that happen from your over zealous friends you have invited over to dine and who never want to go home. Or the many children with the spills that occur all day long. See our cleaning instructions for all our products on our FAQ page. 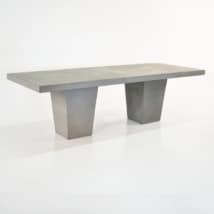 Available in multiple sizes to seat any number of diners. Mix and match with any of our outdoor dining chairs to create your unique outdoor dining room.